With over 40 years of experience in the industry, Academy Garage Doors act as a leading supplier of all types of garage doors in Witney. Our first showroom opened in High Wycombe in the mid-’90s and following the success of our service, we opened our Witney showroom soon after! As garage door specialists, we are proud to offer a range of services. We, of course, offer garage door sales & installation, but we also offer specialist fitting, after sales care, repairs and for the first time, a substantial stock covering all sizes and styles of doors with an extensive range of spares. We take great pride in our service since we’ve been doing it for more than 4 decades! We want to make sure that our customer is happy with our service, ensuring that the utmost respect, care & professionalism is taken when working with you. By providing a fast, friendly & professional service to our customers, we’re making certain that our customers are happy with our work. We ensure that our team are informing you during every step of the process of having a new garage door fitted. We don’t hide behind hidden costs, sneaky quotes & dodgy margins. We offer an honest service that we’re proud to provide to the homeowners of Witney. Whether you’re looking for a new garage door to replace your old broken one, or you’re just looking to update the look of your home, the team at Academy Garage Doors are here to help! Our team of garage door specialists are ready to help you with any queries you have. We want to inform our customers with the right information, giving them the proper judgment on which garage door is right for them. Our service spans throughout the South East, working in Witney & surrounding areas. Our fitters offer professional installation ensuring that your garage door is fitted with precision & is working as it should. Our garage doors aren’t only designed to look great, but also work well too. We believe that a garage door should offer not only style but great functionality too. This is why our garage doors are designed with the user in mind, offering smooth & seamless function regardless of the design. We work with you to make sure that your garage door is fitted without a hitch. Why would I buy a new garage door? 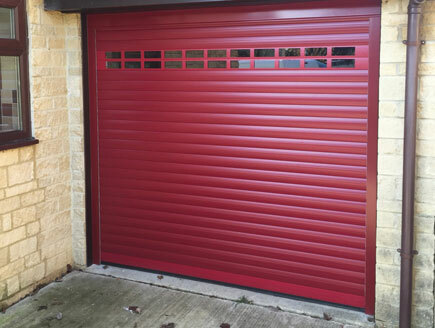 There is a wide range of reasons why someone would buy a new garage door in Witney. You may be looking to revamp the look of your home, in which a garage door would do that! A garage door also offers security to the home as your garage is most likely attached to the rest of the property. A quality garage door will offer top class security. You may also be looking to replace an older garage door that has seen better days. If your garage is looking worse for wear, then a new garage is exactly what you need to revamp the space! Garages are often neglected parts of the home since it’s often used as a proxy storage space for the things that don’t get much use.